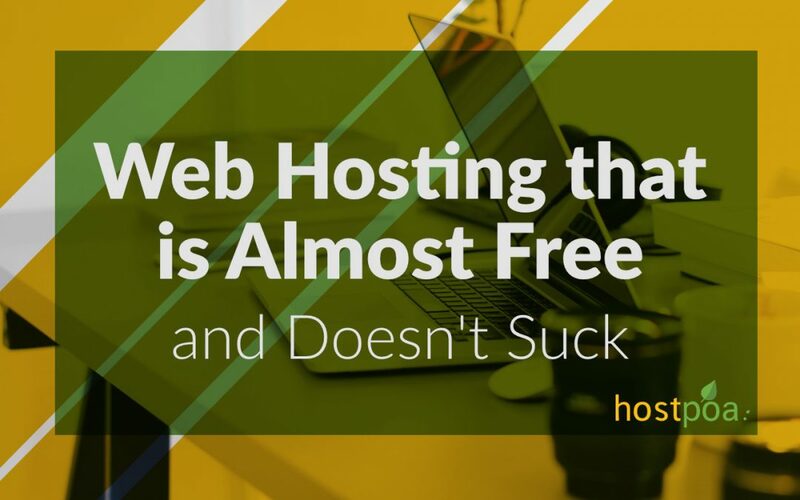 Getting free web hosting is not easy. And when you do get it, it usually is terrible. The speeds are slow and the experience is usually unimpressive. We understand that when money is tight and you are on a restrictive budget, you need a solution that will allow you to use what you need and keep the cost low. 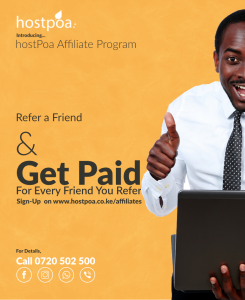 hostPoa has introduced free hosting plan that is available when you purchase of a .io.ke domain. 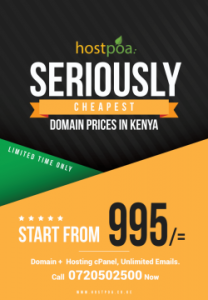 The io.ke domain name goes for just KSh 499 and the web hosting is free when purchasing the io.ke domain name. 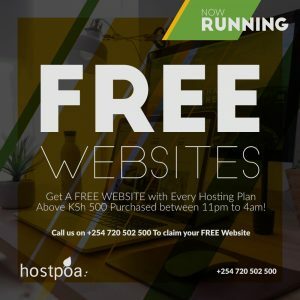 this post discusses what this means for you, the web developer in kenya and how you can take advantage of this offer to leverage your web development business. We have configured this hosting plan to the beginner web designer in Kenya who is looking for great service without the hassle of paying high hosting fees for features that they do not need. Will Free hosting work for me? Digital Marketers who are looking to set up a simple landing page and will not find the space restrictive. How much space does the average website need? The average website is 3MB and if you have 10 pages on your website, you will consume only 30MBs of data for the whole website! This means, that 300MB is more than enough to run your website effectively. Upload only the images that you need if you upload more images than you need, you will quickly run out of space within this account. Upload your Videos on Youtube & Embed them to your Website By Embedding your videos on Youtube, they will not consume your web space and will load much more efficiently on your website. Will using free hosting affect my website? Just because the web hosting package is free does not mean that it is of inferior quality compared to other hosting plans. Your website should still load as efficiently as it would load on other hosting packages. As long as you have signed up for the free hosting package, and you are paying for the .io.ke domain name, the web hosting will remain free. This package may go away soon so I would encourage you to take it up while its still available. What happens when I run out of space on the free hosting? If you run out of web space on your hosting account, you will need to upgrade of any of the higher packages on hostPoa. The other alternative is for you to delete the data on that account to reduce your file usage. All of these alternatives are available through your client area or cPanel and you have full control of your hosting environment to take care of these issues.